Since moving to London from the US, twenty-four-year-old Alex Sinclair seems to have it all: a coveted job writing for the theatre, supportive friends, and the man of her dreams – gorgeous Irish actor, Mark Keegan. But in the year since the acclaimed debut of her play, Alex and Mark’s lives have been turned upside down. Thanks to his role on a smash-hit British TV show, Mark is catapulted to stardom. Alex couldn’t be happier – until her boyfriend’s popularity and insatiable drive to succeed means they’re apart more than they’re together. Forced to share Mark with showbiz heavy-hitters, intrusive press, and unrelenting fangirls, Alex’s hops for a stable and committed life with him start to fade. Her struggles with panic attacks, career uncertainty, and Mark’s increasingly worrisome behaviour make her wonder: how much more can she bend before she breaks? After hearing about London Belongs to Me and the release of the sequel, London Can you wait, on BookTube, I knew that it was a book that I had to get my hands on. It was a beautiful contemporary novel about a college graduate who goes to London after finishing college to fulfill her dream of becoming a playwright. London, Can you Wait is considered the sequel to the book London Belongs to Me, however it can be read as a stand alone book. I highly recommend you read both of them together as it will bring that much more added dimension to the characters and the world they live in. 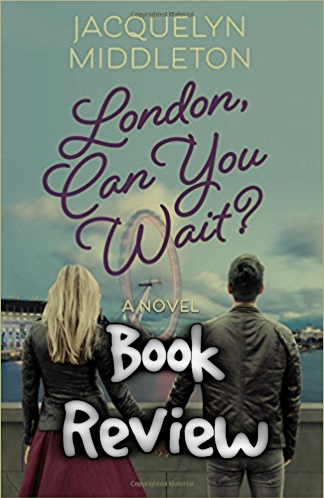 London, Can You Wait is a refreshing tale of what happens after happily ever after. The first book ends on the high note of everything going right in Alex Sinclair’s life. Her play is being produced, she has a boyfriend, she has good friends surrounding her and it seems as everything is going according to plan. But that’s not so true. In this book, Alex has to deal with Mark suddenly gaining instant success and having to navigate a relationship in the spotlight, when they’re together anyways. The different shows and movies that Mark is in has him jet setting across the globe and Alex is trying to deal with managing a long distance relationship and everything that goes along with that. When the trust is broken, Alex has to figure out how to move forward, trying to figure out who she is as an individual, not just “Mark’s girlfriend”. Both books are full of pop culture references, nerd shout outs and all the quirkiness you would expect from a main character who is a fangirl. I loved the references to Doctor Who and Sherlock. It made it really feel like Alex Sinclair is a real person who really is a playwright living in London this year. Alex is someone who I feel like I could be best friends with, which made it that much more enjoyable of a read. One of my favorite aspects of the book is the fact that Alex deals with Anxiety and panic attacks. It briefly talked about them in the first book, but didn’t really dive into that part of her character. Throughout this book though it becomes a major part of the story, and at some point, Alex decides that she can’t handle this alone anymore and seeks professional help. She sees a therapist who helps her deal with her anxiety in a healthy way, teaching her ways to prevent her attacks and throughout the process, helping her discover who she is a as a person. I love how the author, Jacquelyn Middleton, portrays this throughout the book. She gives truth and reality to it. I see a lot of YA and New Adult books, who typically glaze over issues with anxiety or other mental illnesses and not really tackle it head on. As someone who deals with anxiety on a daily basis, I very much appreciated the way that she wrote this. Yes, Anxiety was a part of Alex’s life, but, as she worked through her issues, it was no longer something that defined her. There’s that fine balance where one step in either direction would have made the issue unbelievable, but Jacquelyn did an amazing job with this part of the story. The cast of characters in this duology are very diverse, but it isn’t obvious about it. While the main plot of the book is the romance between Mark and Alex, which can get a little steamy at times, there are many other characters with their own subplots and their own stories. This duology has quickly become one of my favorite contemporaries this year. (I know it’s only January!) I cannot recommend it enough! – London, Can You Wait? Previous 2018 TBR: PopSugar Reading Challenge Edition!